Sometimes happiness is a giant pinecone. We went to a local flea market today and I came home with three of these beauties. I am told that they are from the Redwood Forest. Just saying Redwood Forest makes me want to break out in song. Thanks for nothin’ Woody Guthrie. So how do I know they are really from CA? That they are real? I don’t know. Maybe they are real. Or maybe they are from China. Or from Pottery Barn. I dunno. Truthfully I don’t care. I like them. They make me happy. Look at the cute little East Coast pinecone next to it. A midget compared to it’s West Coast – pumped up cousin. 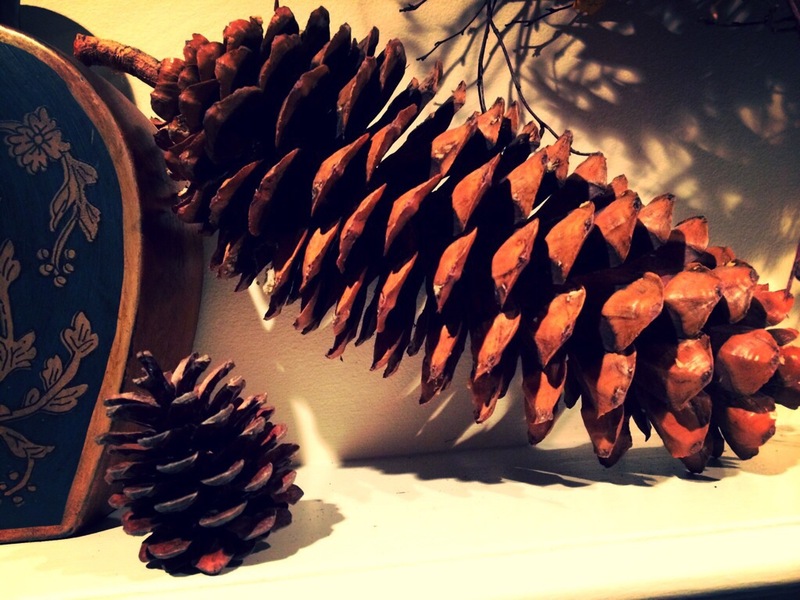 Hope you had a great weekend full of giant pinecones too.